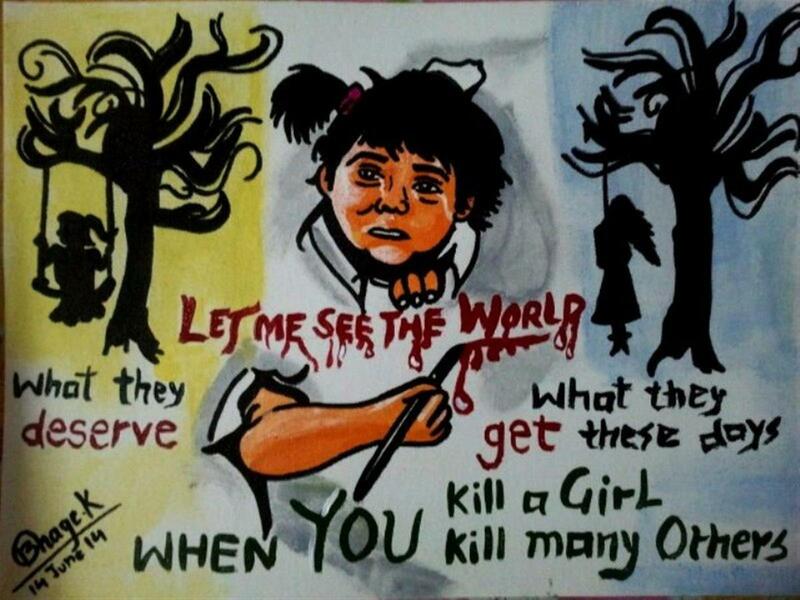 India celebrates National Girl Child Day on 24th Jan every year. National Girl Child Days is celebrated to appreciate Girl Child Birth, her education and a healthy life style for every girl child in India. National Girl Child Day is observed on 24th January every year. India has a bad ratio of girl child in almost every state and union territory. Haryana has the wrost girl child ration in last sensux. While Kerala has the best Girl Child Ration amongst all the Indian States. Central Govt and state Govts has taken many good steps and launched many plans like sukanya Yojna, Beti Bachao Beti Padhao Yojna,Ladli Yojna and many other schemes to appreciate girl in all over the country. Besides all these girl child ration is not very good in India. On the day of National Girl Child Day 2016 we would have to take strict actions to appreciate and give happy and healthy life to all the girls in all across the nation. All the school, colleges, NGOs and political wings celebrates National Girl Child Day. 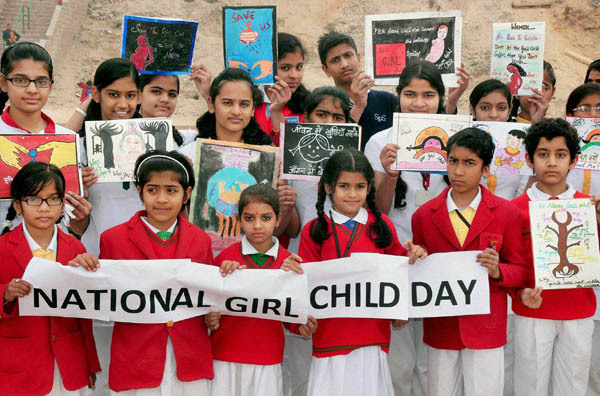 If you have kids or school going children in your Family than You be searching for the Posters for Girl Child Day, you must be searching that how to Make Posters with slogans on Save Girl Child? 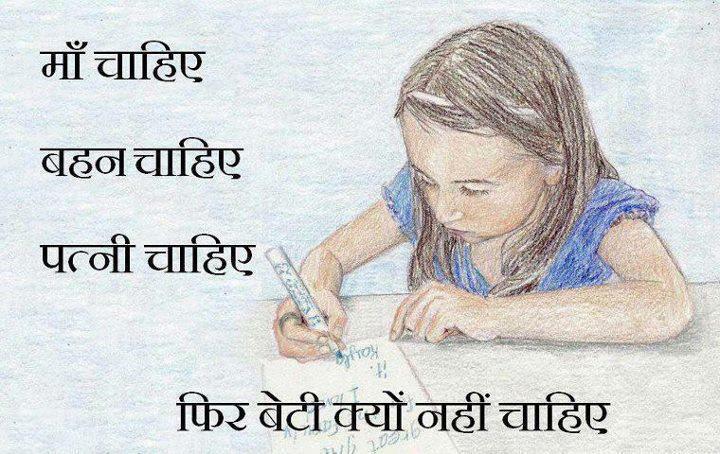 Than this Article will worth for you, As in this article I ma going to Share some very beautiful Poster on Save Girl Child For School Competition, Beti Bachao Slogans in Hindi, Rangoli designs on save Girl child,Beti Bachao Beti Padho Poster for National Girl Child Day 2016, Save Girl Child Slogans new for Competition. जो नही रहेगी मातृतवकी देवी तो गोदी मे बिता के पुचकारेगाकौन? मा की ममता और बहना की जिद्ड़ दिखाएगा कौन? शामको दौड़ के पानी पिलाएगा कौन? पापा, मामा,भैया सबके पसंद की खूब परख याद कर खाना खिलाएगा कों? हर रिश्ते की अरमान ये बेटी ही नही रही तो घर आँगन को महकएगा कौन?? Hii …Dear brothers and sisters ..My Name is Dr.Vijay Raval…Acc.to me …Girl is The Clear Gift Of God So who The We Are Kill Them before They See the World..Why We Are Taking Girl As a Burden.Girl Have The All The Abilities and Power To Nourish Themselves and thier..so Please Love The Girl child…And Make The world Beautyful With Thier presence……Dr.Vijay Raval.. Very well said Pushpa sen.